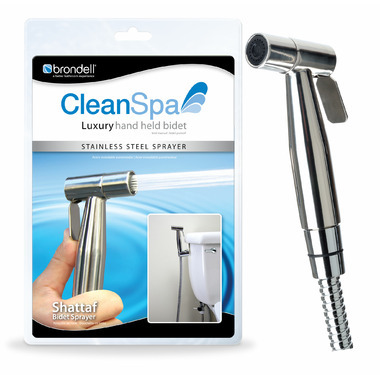 The Brondell CleanSpa Luxury hand held bidet is a simple and inexpensive way to retrofit your existing toilet into a hygienic bidet.Why go back to dry irritating toilet paper or expensive baby wipes when you can use the CleanSpa! The CleanSpa Luxury provides a refreshing and cleansing bidet/shattaf wash or convenient diaper spray right in the palm of your hand. The elegant and ergonomic stainless steel hand sprayer is simple to use and offers several mounting options to easily install in any bathroom. The solid metal T-valve (with brass core) offers full pressure adjustability, backflow prevention, and complete water shutoff. The extra long flexible spiral metal hose includes a patented woven inner core. 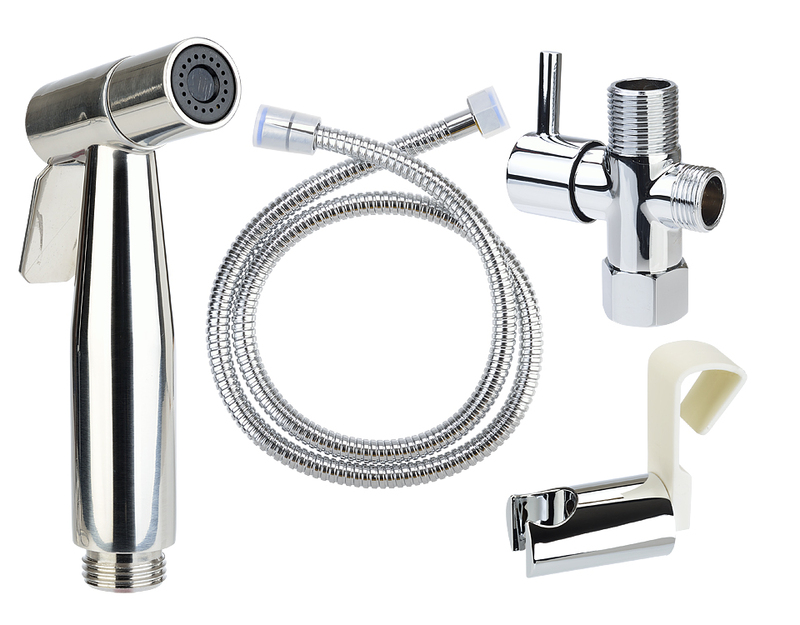 The CleanSpa hand held bidet is the new clean for the entire family. Product was easy to install and works really well as a diaper sprayer. Would recommend to everyone!